In case you don’t know me already, I’m Tomas Metcalfe. I was a professional cyclist for 6 years and have had ongoing experience in top level sport for a decade. I’m racing triathlons now, hoping to jump up to elite level. I’m currently studying sport science and this is my ‘new’ passion I’ve been studying for 4.5 years. What is the SMS October cycling training camp? It’s a one week intensive cycling training camp in October. There will be both open water and pool available, as well as running track and trails should triathletes wish to join. The program can be adapted to work around these activities, as it’s highly individualized. Why do it in October? I chose October because it’s the ideal time to begin building a pre-season. Baseline values can be obtained and then form built up slowly and completely so that for all the warm months the following year one can be in good form -rather than using them to build form. The weather is usually still very good in October in the Algarve. It’s one last opportunity to get some sunny kilometers training in before the winter. Even if you’re in terrible shape and a bit overweight, you can hope to reach an excellent level of fitness by the summer, if you start working on it by October. Bike 3D position and subjective evaluation. Great care has to be taken with bike position and sometimes a ‘bad’ position becomes so well learnt, changing it can do more harm than good. Hence we look at: what’s most efficient, what’s safe and what works for you to find the right balance. Subjectivity, is important in bike positioning, more often than not, what feels right, is right. Physiological testing in the field. I started field testing because of economic constraints. Yet have learnt that it’s also highly effective and more task specific than lab testing. As they say, ‘the lab is far from the road’ so we do the testing with high precision on the road and get real world values for performing in the real world. With these values we plan the pre-season for you and a broader season plan. Physiological testing in the lab. Is also used. We test things like power, body composition and other things, that are extremely useful in building a profile of the client as an athlete and not only suggesting optimal training, suggesting optimal goals and why. Some athletes might require a ‘ramp’ test, but we will check this running up to the event. Drills and exercises will be taught. Early pre-season is not the time to begin huge training volumes or intensities, it’s the time to build it up slowly. If you’re pre-season doesn’t go well, you’re season will be very hard to manage with injuries and form ‘not quite coming together’. We’ll also work on bike handling and riding quickly but safely. Team work. If you’re a cyclist, you know the value of teamwork. If you’re a triathlete, you’re probably wondering what you can learn? You’ll be surprised how much the suggestions I mention cross over into triathlon. We will work on group dynamic and tactics. Obviously around all this, there isn’t much time, but there are also informal evening seminars on diet, ‘the engine’ (brief run down on the physiology), general ‘do’s and don’ts’ and lifestyle. There will be bike rides and a hike organised too. All the activities are done in a relaxed, enjoyable manner, as that’s fundamental! These sports have a bad reputation for being about ‘suffering’, we’ll show you how that’s not the point, nor strictly speaking necessary. Well, the difference between someone who ‘just trains’ and someone doing structured training is about 15%-20% in my experience, this is not to say you will improve by this amount. In someone completely new to the sport, the gains are bigger again. In some ways, training ‘properly’ is easier too… It kind gives purpose to the training. If you’re new to the sport this cycling training camp will allow you can skip forward a few steps, experience and knowledge wise. Sport is a way to gain an edge in life in general. You’ll be fitter than if you ‘just trained’, training will take less time, you’ll feel better in other areas. With a year plan you’ll be more likely to stick to your goals. What you invest in sport, sport will pay back many times over in both physical and cognitive health and fitness. People who aren’t (yet) athletes are those that have the most to gain. Athlete will gain an edge. By how much depends how thorough they are to begin with. Aside the experience itself, you get get a full review of all the aforementioned aspects we look at and a training schedule for the next 4-6 weeks depending. You will also get a season plan with which to structure your training throughout the season. These will all be fully personalized. Does my fitness level matter? High level athletes can use this camp to gain an edge, however those with most to gain are non-athletes. So I’d encourage anyone who’s passed fit to do sport to come. I get far more pleasure bringing people the joy of sport, than ‘preaching to the converted’! 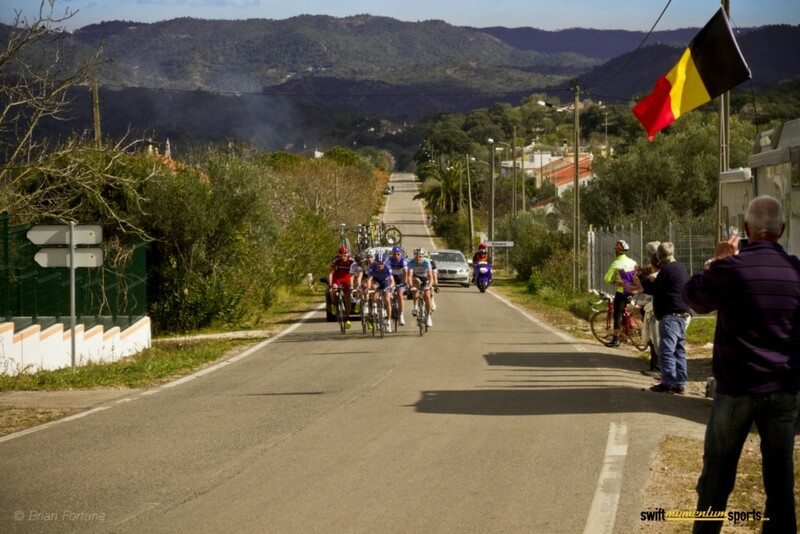 This cycling training camp starts on Sunday 26th and goes on till Sunday the 2nd of November. You’ll arrive at Faro airport and we will pick you up and drop you off at the hotel: Transfers are included. Bike rides are planned each day and at the end a challenge is set. If you need a bike, you can rent one from us. A five star hotel called Val d’Oliveiras. This hotel is exceptionally well located, just 2km from the sea and surrounded by countryside. You literally go out the door and you’re on safe, scenic (and challenging) rural roads. The hotel has all the conditions to host athletes including a spa and a gym. The price of this camp is €1295 (roughly £1030), to reserve we take a €300 or £250 deposit, fully refundable up to 2 weeks before the camp and in case of cancellation. Full payment is then only due one week before the camp begins. Payment can be taken via Paypal or bank transfer with an adjustment made for charges -Paypal takes 2.8%, with the bank it depends. I like the sound of this! How do I find out more? The best way is simply to e-mail me at ‘tomas@swiftmomentumsport.com’ or phone me on 00 351 922011153. We can arrange a Skype chat too (my skype name is ‘swiftmomentum’). There will be some communication running up to the camp as I plan out how I can make it work best for you. I look forward to welcoming you to the Algarve this Ocotber!